A Southwest Airlines gate agent is accused of being awful in front of a 5 year old girl and on social media because of her unique name. "The gate agent started laughing, pointing at me and my daughter, talking to other employees. So I turned around and said, "Hey if I can hear you, my daughter can hear you, so I'd appreciate if you'd just stop," Traci Redford said. Redford and here daughter was catching a flight home to El Paso, Texas a few weeks ago from John Wayne Airport in Orange County. Abcde lives with epilepsy, so the Redfords always pre-board. 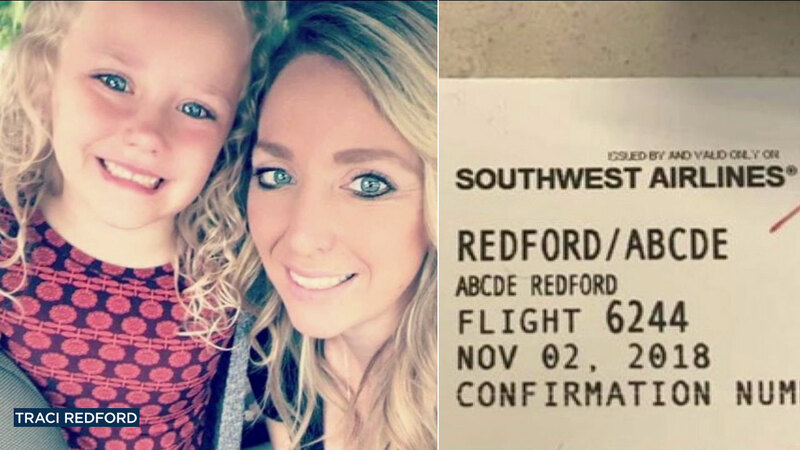 "While I was sitting there, she took a picture of my boarding pass and chose to post it on social media, mocking my daughter. It was actually brought to my attention by somebody w he had seen it on Facebook and reported it to Southwest Airlines. Southwest Airlines gave us this statement: "We extend our sincere apology to the family." We nemen een grote trots in het uitbreiden van onze Southwest Hospitality aan al onze klanten, die leven bij de Golden Rule en behandelen elk individu met respect, in persoon of online. The post is not indicative of the care, respect, and civility we expect from all of our Employees. Vi har fulgt opp med de ansatte, og når vi ikke offentliggør personalhandlinger offentligt, vi bruker dette som en mulighet til at styrke vores politikker og understrege vores forventninger til alle medarbejdere. " Redford said she was using this experience as a lesson for her daughter. "She said 'Mom, why is she laughing at my name?' And I said, "Not everyone is nice and not everyone is going to be nice and it's unfortunate." "